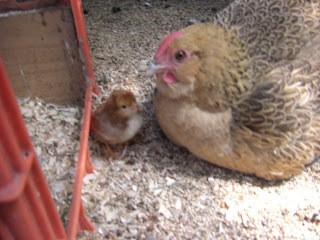 Patra's Other Place: Newly hatched chickens! 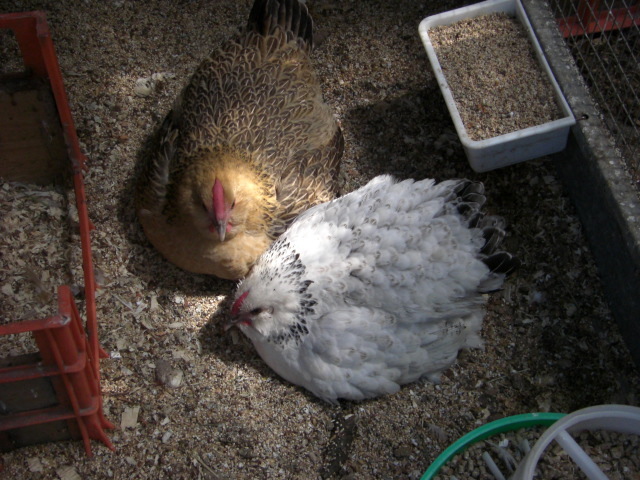 Two of our hens were clucky, so we 'borrowed' some fertile eggs from a friend who breeds hens and roosters for shows, and put them under our broody girls. 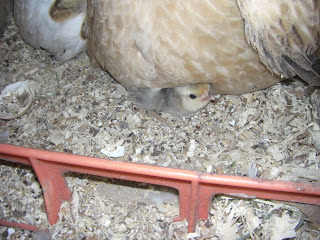 Lo and behold, this morning we discovered three fluffy chickens peeking out from under their Mum's wings!